WILL TONIGHT BE OUR LAST PROGRAM? In case you had not noticed, we have NEVER charged one red cent to listen to our programs. Charging for information in the Native world is unethical... "Spirit" is free. Time was, medicine people had all their needs taken care of. Now, thanks to European invasion, acculturation and forced conversions to "Christianity," medicine people are now the poorest... and we are forced to BEG for support. That has presented a problem for Prophecykeepers Radio from the beginning. We were forced to shut down between late 2008 and just a few months ago because of lack of financial support. We caught, REDHANDED, another talk show host, Mitch Battros, CHARGING for link access to our website without offering any support whatsoever. He was confronted by email, and offered no apology or even so much as a reply. Since 2004, Prophecykeepers Radio has been a voice crying in the wilderness... a sure sign that we are doing things right. Traditional elders are VERY picky about where they make public appearances. Some, like Hunbatz Men, have made their first (only?) 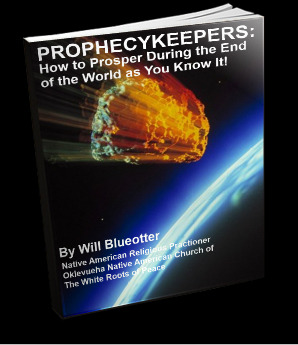 media appearances on Prophecykeepers Radio. Newsflash! Space.com says SO25300.5+165258, which was exposed on Wolflodge.com by Prophecykeepers Foundation in March 2003 as perfectly fitting the Hopi Red Kachina prophecy, may be a "Solar System Nemesis." Prophecykeepers may not LOOK like much, but it is cutting edge -- because Creator does share some secrets with us.. and we pass them along to you! We are all about saving human life. If we wanted to lower our standards, we could gain more "appeal" and get more listeners, and no doubt more funding... but then we would not be obedient to our conscience. So it's your call... will Prophecykeepers radio survive one more month? Can you help get our message out one more month? 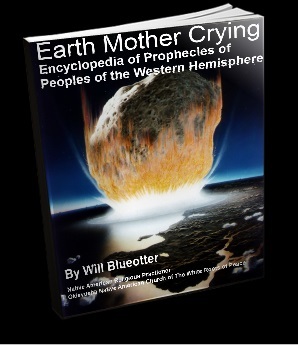 Lifetime ONLINE access to printable 1000 page worldwide prophecy encyclopedia. There is nothing else like this collection on the planet, a wise investment conservatively priced at $24.99... satisfaction guaranteed or your money back! Read our unsolicited reviews. The HUGE 4.88 GIGAbyte PROPHECYKEEPERS LIBRARY... 3287 files in 222 folders! Mad Bear Anderson was the founder of the Indian Unity Movement... and its child, the American Indian Movement. He was a Lord or "Faithkeeper" of the 6 Nations (Iroquois) Confederacy. Someone HAS collected Native People’s prophecies, myths and legends, and published them in one place. That someone's name is Will "Blueotter" Anderson... an associate of Mad Bear Anderson's close friend john "Rolling Thunder" Pope, the most famous medicine man of the 20th century. 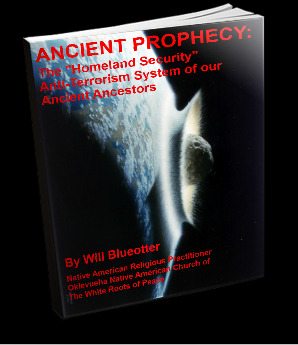 These prophecies are contained in the 1000 pages in the four e-books to the right! If you study them, you will discover a pattern of recurring events... and how to prepare for them. A Christian reviews "The Prophecykeepers Trilogy"
I write this for Christians in certain knowledge that we as a group have certain problems seeing anything outside of that which is strictly contained or written of in scripture. I am here to try and cause you to think "outside of the box". You probably might even find fault with this. 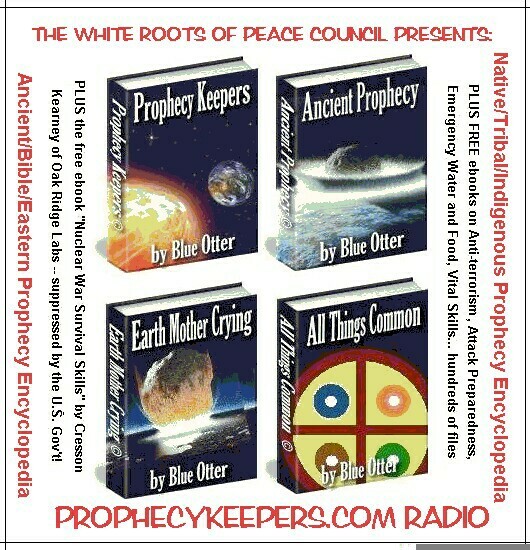 A Native Person reviews "The Prophecykeepers Trilogy"
Having followed prophecy keepers for many years now, not only ordered all the interviews (and still listen to them), and the preparedness library (back when it was just two CD's), I just want to tell anyone who is on the fence about donating, and getting access to all this information, DO IT! it really is a treasure trove of information, I added it to my collection years ago, and have added my own stuff since, buy it really is well worth it, not to mention all the history, culture, and knowledge you can learn from all the elders' interview, there really is no other place to learn accurate information. Keep doing what you do William, it really has changed my life, and will change many more. 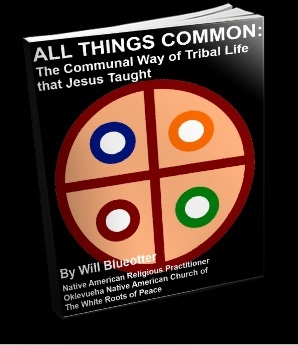 Listen to our "Hopi Ten" interview with Choqosh Auh Ho Oh. 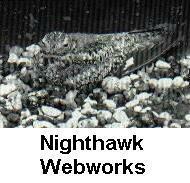 in North America, The Original Keetoowah Society, "Nighthawks"
It's Creator's only "Only Way Out" for us. Are You "Walking The Walk" or Just "Talking the Talk?" and start Walking The Walk... then go get ceremony! Let us build and host your website!